With an array of land and water-based activities, you won’t be sunk for ideas on keeping busy and making friends in Dun Laoghaire. Ireland’s premier professional dance company offers a diverse range of classes to suit all interests and agility including contemporary dance, lyrical jazz, hip hop, classical ballet, zumba, yoga and pilates. The theatre is based at the Centre of Dance at Bloomfield Shopping Centre and all classes are taught by fully-qualified instructors to help you put the best food forward. 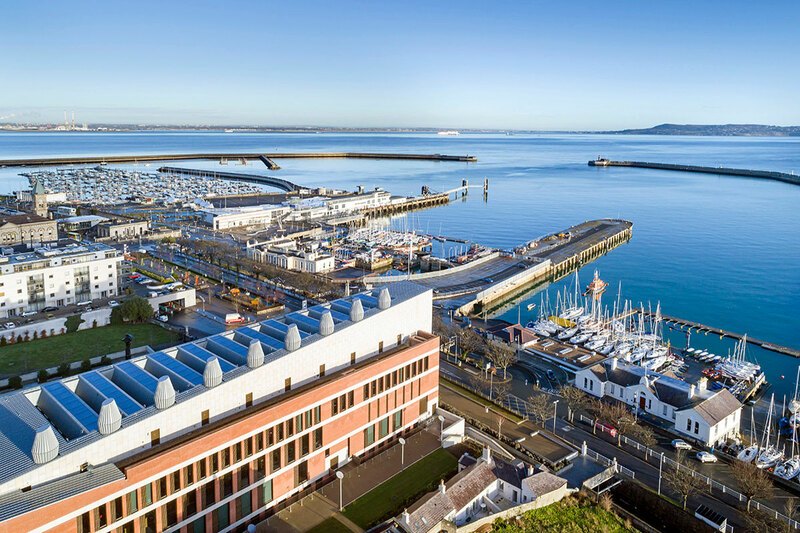 You can’t escape the water when living in Dun Laoghaire and, as it’s one of Ireland’s premier harbour, it’s an ideal place for boating. The Irish National Sailing School, Irish National Sailing Club and the Irish National Powerboat School ensure they have you covered, whether you are a sailing veteran or have never set foot on a boat before. Courses to suit all interests, levels and ages are held on an ongoing basis. If you love the thrills and spills of the outdoors, this is one for you to try. Adventure Dun Laoghaire offers segway tours, GAA taster session, bike rental and trails, rock climbing and clay pigeon shooting. Will certainly blow the cobwebs away and is great for making new friends with similar interests. If you’re a culture clubber, then Dun Laoghaire is your playground. The Pavilion Theatre is a vibrant and performing arts venue that offers regular programmes of theatre and dance shows, concerts of all genres, comedy acts and everything in between. Just beside the theatre is bustle of the Pavilion Complex, animated by top-rated restaurants, atmospheric bars and leisure facilities. If you’ve ever fancied kite-surfing, then Above Board is your next port of call. The water sports activity centre offers kite surfing, wake-boarding and stand-up paddle boarding lessons, rentals and excursionsThe all-year round certified courses are available at beginner, intermediate and advanced levels. If you love reading, then you won’t have to travel far for your happy ending! The Dun Laoghaire Lixicon central library and cultural centre opened in 2015 with 80,000 items in the adult and junior libraries, over 60 computers, 100 study spaces and a whole floor dedicated to local studies. It is also open every day, including Sundays and even has a cafe to nourish those brain cells in between the pages! Also, the area has its own Writers’ Group who meet in Dun Laoghaire on the last Tuesday of every month and are always looking for new members.